By Graeme Willingham, who stayed at The Prairie Hotel early April. It's all over! 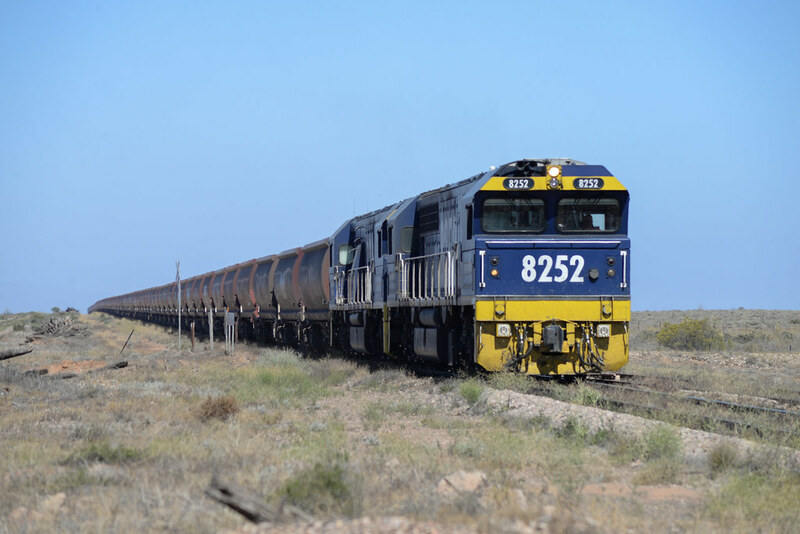 With yesterday's (May 9) closure of Alinta's Port Augusta power station, the 2.5km-long Leigh Creek coal train rumbling by The Prairie Hotel at Flinders Ranges' outpost Parachilna is off the hotel's highlights reel. Hotel owner, Jane Fargher said yesterday the three-locomotive 160-wagon train would empty the bar and restaurant, but she expects the hotel will survive after losing this engaging interlude, which lasted all of five minutes. When we were there, the train schedule had been pruned as the power station began its wind down to closure, so we missed the spectacle. Jane said the last train ambled by on April 27. 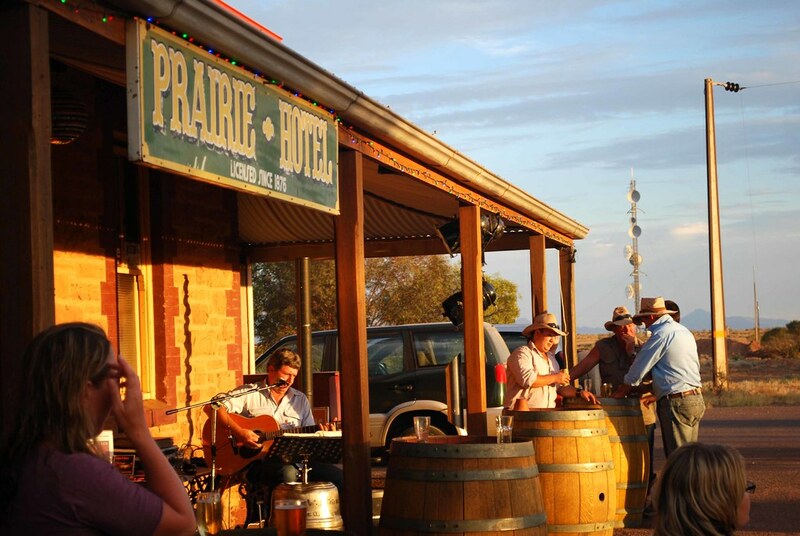 Train or no train, the Prairie Hotel is a must-do destination to travellers exploring The Flinders Ranges or heading north to (or returning from) Oodnadatta, Lake Eyre and Birdsville. Just off the sealed Stirling North Road, Parachilna is a railway siding with a locked-up small square bluestone station and some out buildings now operating as budget accommodation, and for campers. A tiny disused school is earmarked for a museum. Fifty metres from the station building is the sandstone Prairie Hotel. That's it! That's Parachilna, population 15. 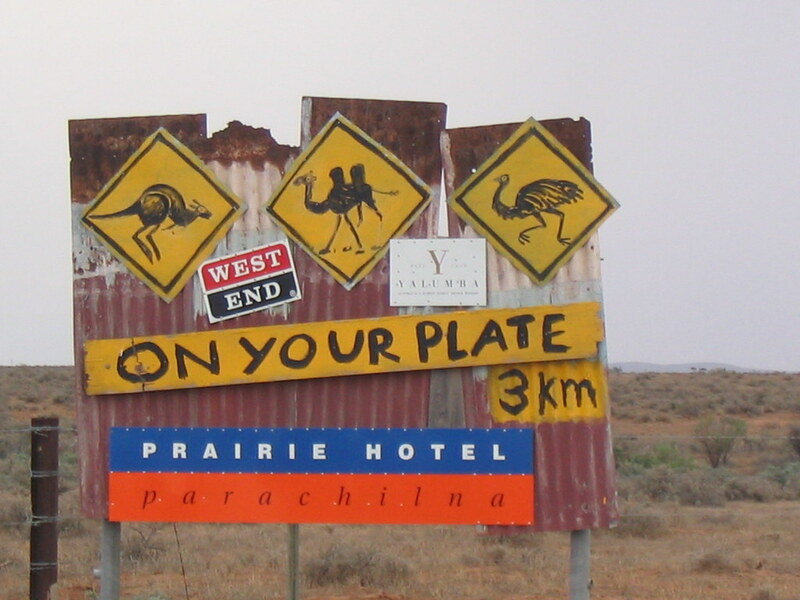 Parachilna is 489 km north of Adelaide, 196 km north of Port Augusta and 30km west of the former mining town Blinham, in the heart of The Flinders Ranges. It is just a handful of flat kilometres from the most western uprising of the Flinders Ranges. To the west, 30 kms of flat desert pastoral scrub running to Lake Torrens presents a wide stage for viewing sunsets from the hotel verandah. The Prairie Hotel has understated charm which has, rightfully, won for it a "Hip Outback Hotel" tag: 1870s heritage; a sense of oasis-like middle-of-Aussie-nowhere isolation; smart accommodation; a small friendly well-stocked bar (includes own-brand Fargher Lager) also selling gelato; a sunset-facing verandah for a cpuple of those lagers; a restaurant acclaimed for its twist on native food; and a curated art gallery of regional and Aboriginal art. Ross and Jane Fargher bought the hotel in 1991. Four generations of the Fargher family have run sheep and cattle in the Flinders Ranges, so Ross and Jane are knowledgeable hosts. The hotel's restaurant is a popular luncheon spot for passing-through independent and tour travellers, of all ages. Some arrive by light aircraft. The bar attracts those who "just need to stop for a dust-washing beer at The Prairie" and stop-watch international tourists who simply poke their head in the door for a few seconds so they can say they've been there, seen that. The Prairie has also hosted concerts, events and film crews. For example, as soon as a "Home and Away" crew left back in 2013, the hotel staged a performance by Kasey Chambers, Shane Nicolson and Bill Chambers. With its creature comforts, some travellers use the hotel as home-base for exploring the Ranges. The Prairie shares Flinders Ranges' smart accommodation inventory with Rawnsley Park Station's eco-villas, Wilpena Pound Resort's luxury tents, Arkaba Station homestead and Arkaroola's lodges. That quirky "Hip Hotel" claim is supported by a broad menu of adventurous feral and non-feral dishes. 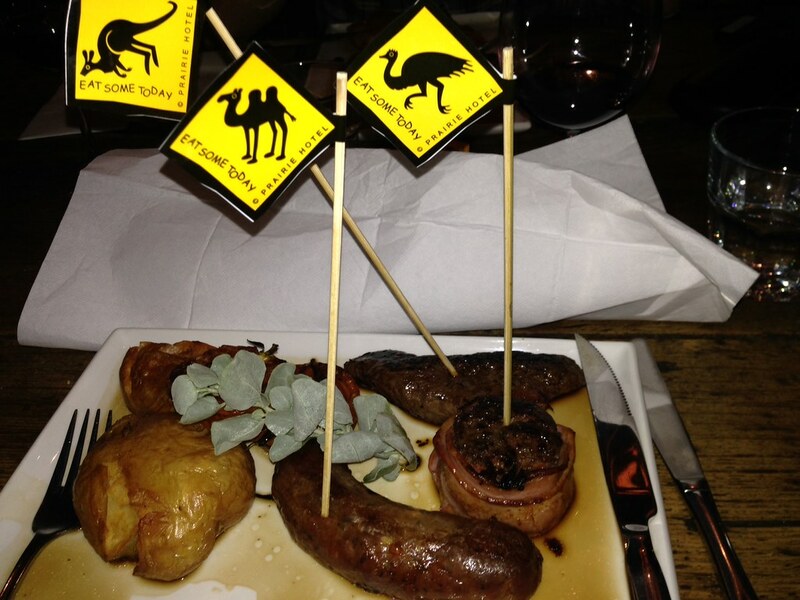 We succumbed to the signature FMG (Feral Mixed Grill) dish of camel sausage, emu fillet mignon and kangaroo fillet, which arrived, to much amusement, with mini yellow-and-black road sign flags identifying each piece of meat. We were assured the signs did not indicate the meat was sourced from roadkill!! We could have kicked off with the Feral Antipasto which includes emu pate, kangaroo mettwurst, goats cheese and bush tomato chilli jam, and then finished with Quandong Crumble Pie. Or, we could have ordered chicken, fish, lamb, beef, pasta, curry or vegetarian, or gluten-free. Drove there, stayed there, drank that, ate that! But we missed our train connection.